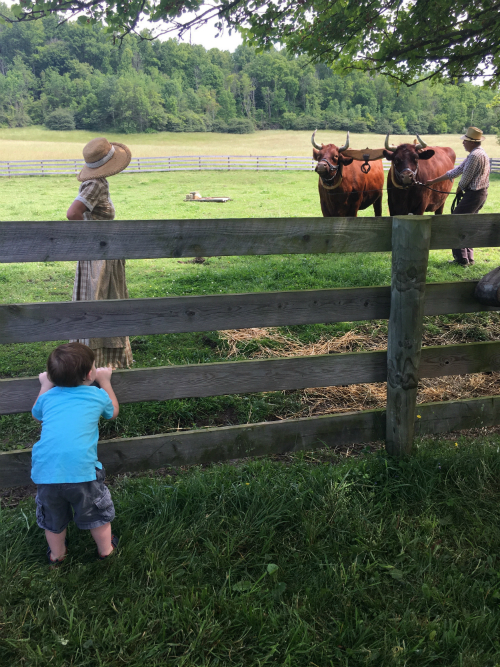 Are you looking for a hands-on, old-fashioned farm experience in Northeast Ohio? 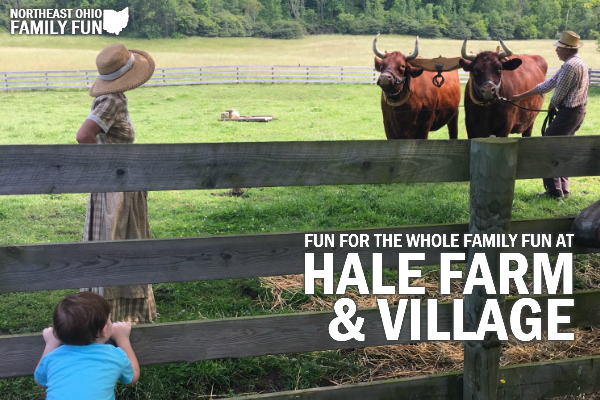 Then you’ll want to take the family to Hale Farm & Village, a property of the Western Reserve Historical Society. 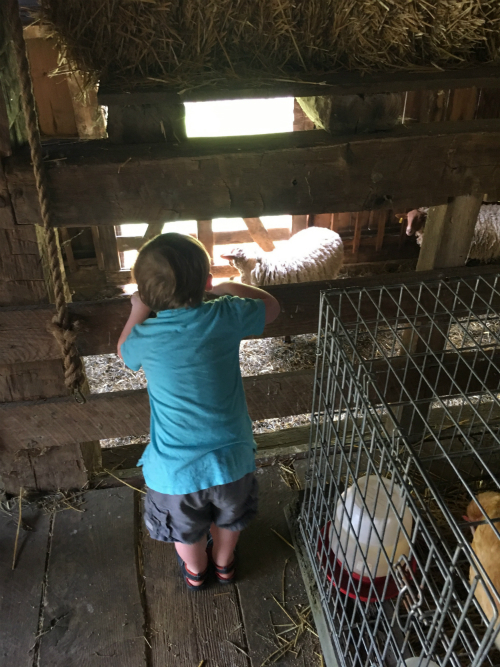 The 200 year-old farm, set within the heart of Cuyahoga Valley, is a unique adventure the entire family will remember! The farm is set up to be an outdoor living history museum. You walk around the working farm, while employees model clothing and tools of the early American farmers. They are actually walking the oxen and sheering the sheep. Everyone is incredibly friendly and knowledgeable about their particular trade, as well as the history of the farm itself. There are plenty of opportunities for children to get involved! 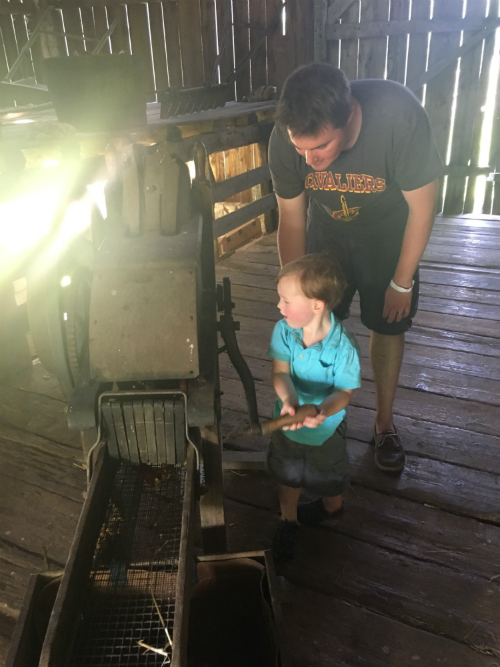 Whether it’s pushing an old piece of farm equipment, helping turn the corn churner or playing with one of the farm children’s toys, the entire visit is incredibly engaging. The farm animals, as well as the hand-on activities, provide fun for all ages. One of the most spectacular parts of the visit is the scenery. 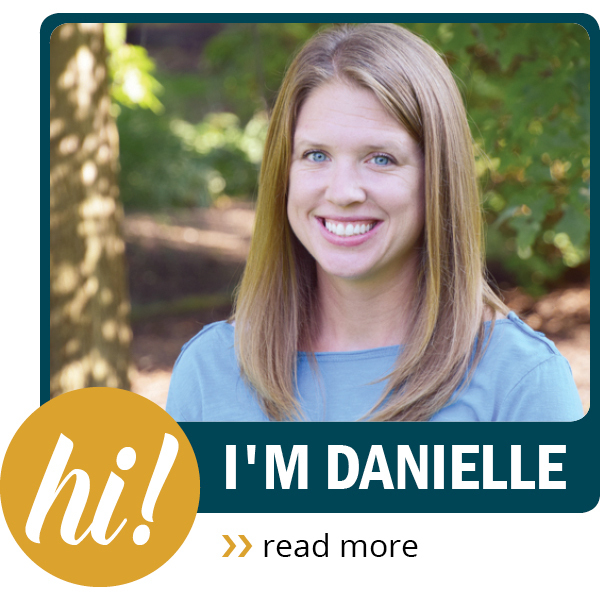 You are walking along picturesque wooded pathways and gardens, and surrounded by quaint farm buildings, including: barns, an old church building, the historic home itself and much more. Visitors can walk through most of the buildings, and they are set-up true to the historic setting of the 1800s. Helpful Tip: Bringing a wagon or stroller would be good for little ones due to the size of the property. However, you probably will not be able to manage a stroller touring the inside of the historic buildings. There are plenty of activities to watch as well. The farm performs several crafts, including: sheep shearing, candle making, glass blowing, blacksmithing, spinning and weaving and more. It is eye opening to see hobbies and interests true to the time period. The main building includes a café and marketplace. You can pop in to cool off and do a little shopping or sit down for a sandwich. The building also has indoor bathrooms for your visit. Hale Farm & Village is a rare gem, nestled right in our community’s backyard. They’ve kept the property true to the 1800s time period, which is an amazing experience for the young and old alike. You can spend an entire afternoon walking the grounds, watching farm work being done and trying a few activities out yourself. The great part is, what you choose to do might be a little different each time you visit! Bringing a wagon or stroller would be good for little ones due to the size of the property. However, you probably will not be able to manage a stroller touring the inside of the historic buildings. If you have toddlers or preschoolers they might not have the attention span to listen to the demonstrations for a long period of time. If so just stop in for a short while at each location. Elementary age kids will likely really enjoy listening and watching the demonstrations. 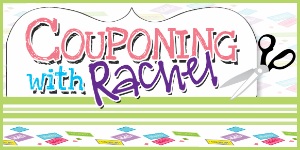 They have a variety of fun special events planned throughout the year. Our favorites in the Fall Festival and the Maple Syrup Festival. You can find all their events listed here. My kids really liked how much with hands interaction there was. It was fun for them to learn about how thing were done back in that time period. Be prepared for lots of questions as children are very curious when they see things they aren't used to. For example, our kids were very curious about what the pioneers used when they had to go to the bathroom since the house didn't have any. Make the trip even more special by riding the CVSR train to Hale Farm. Have Tips About Hale Farm to share? Leave a comment below to let us know. Thanks!